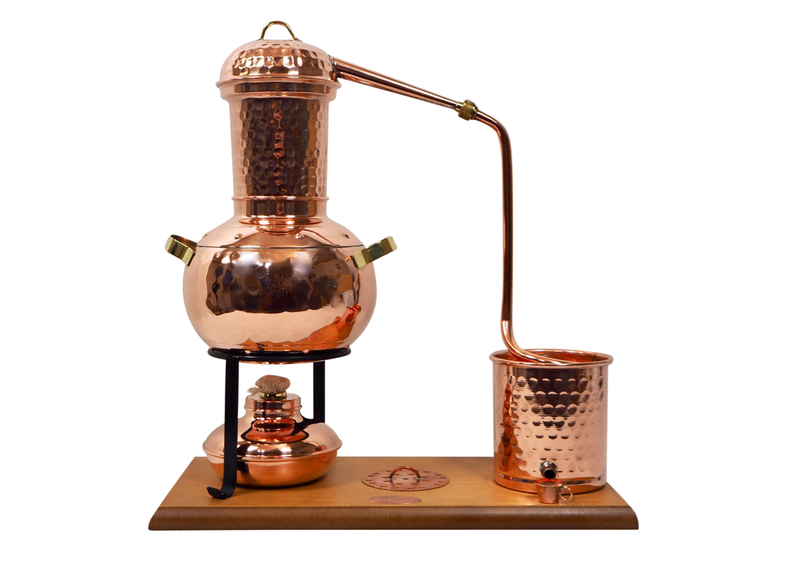 Table still for easy distillation. 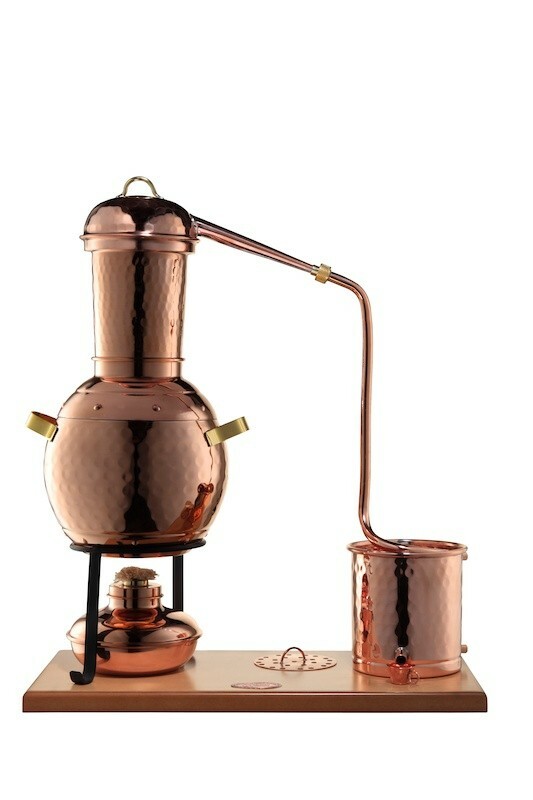 Appropriate for making whiskey, brandy and hydrolates. 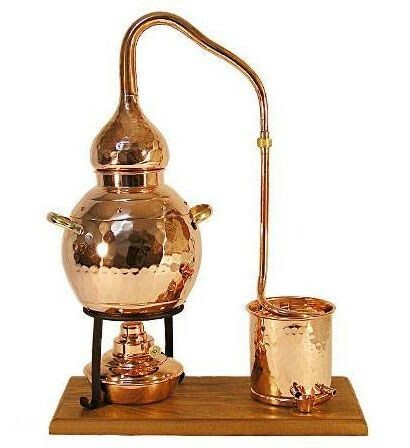 Economical recreational model. 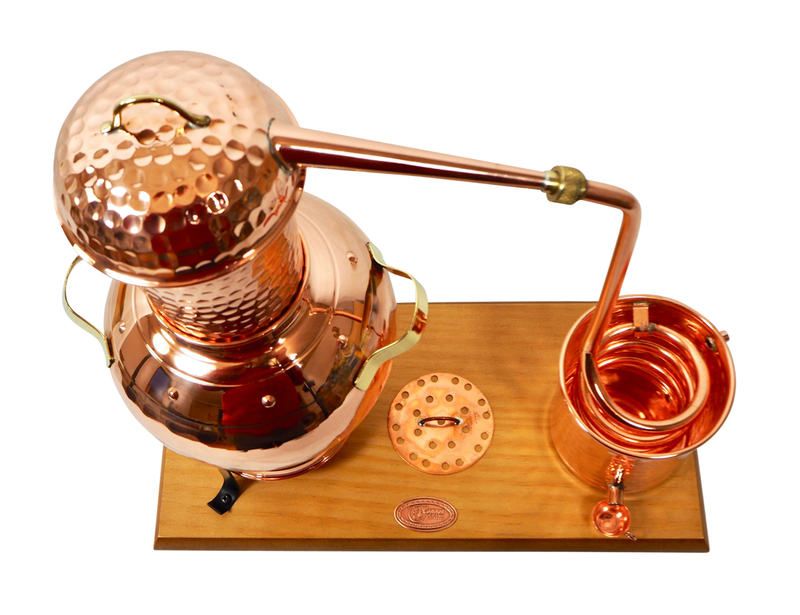 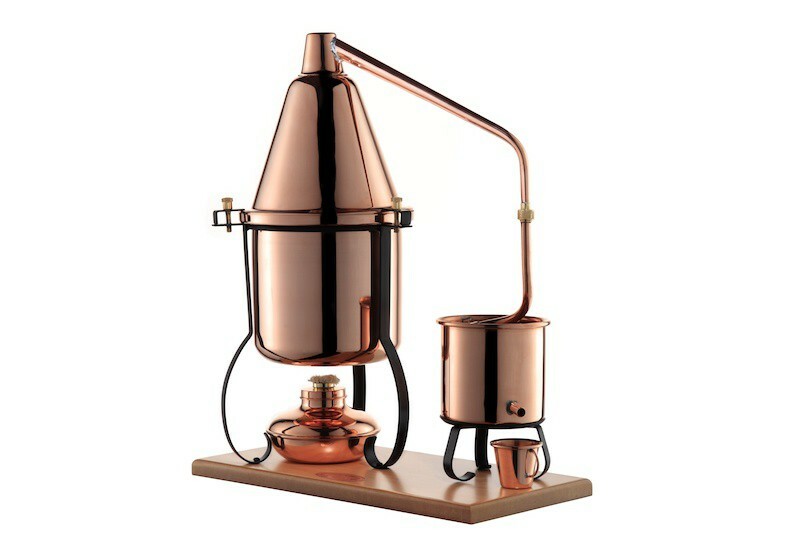 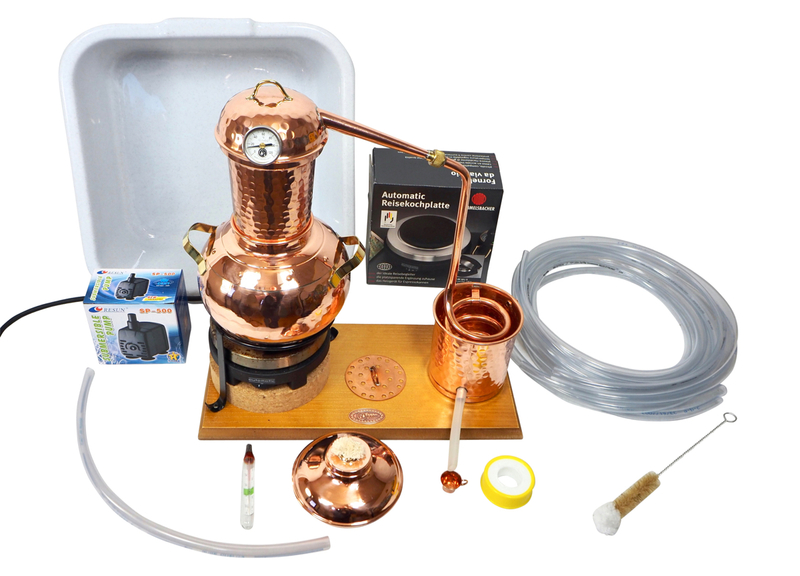 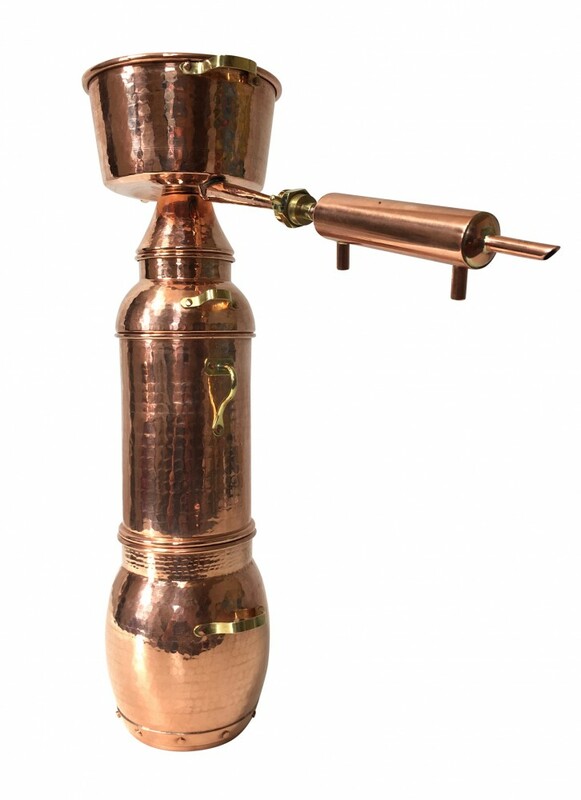 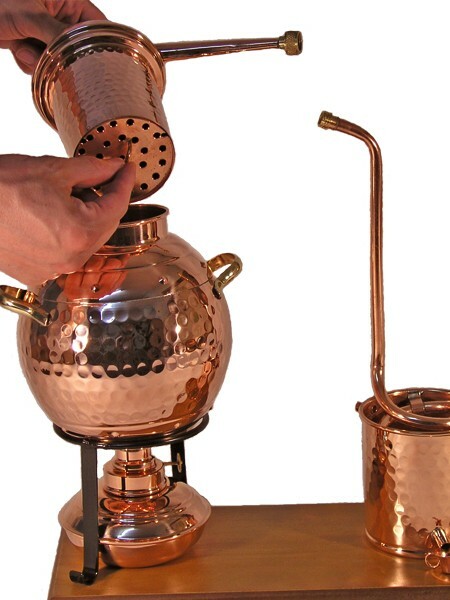 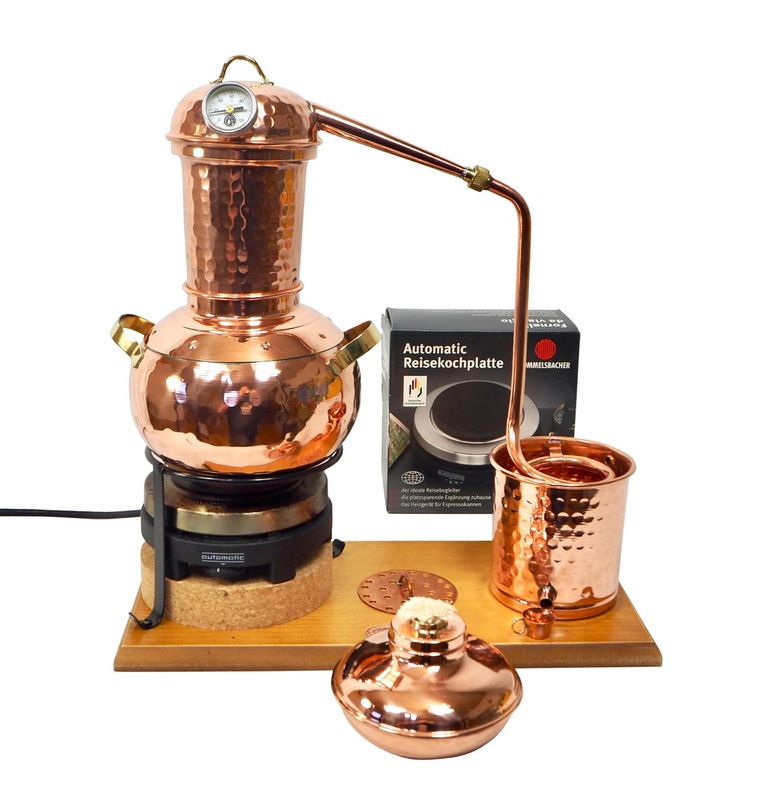 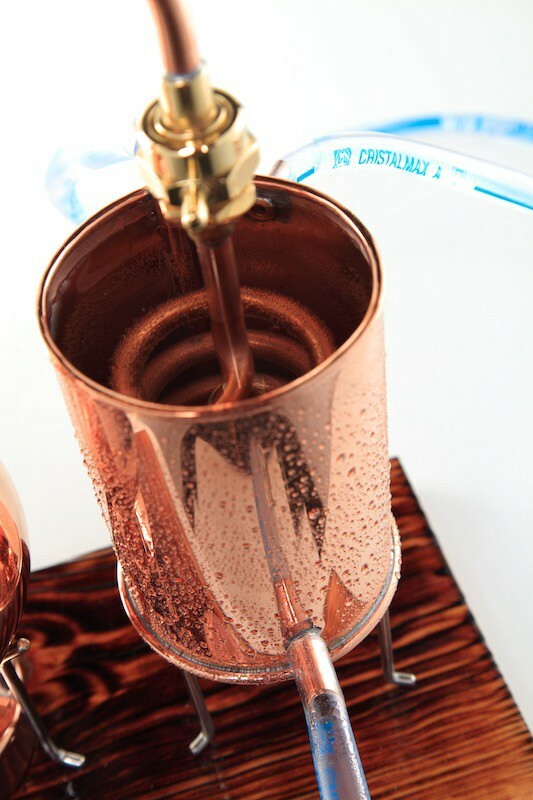 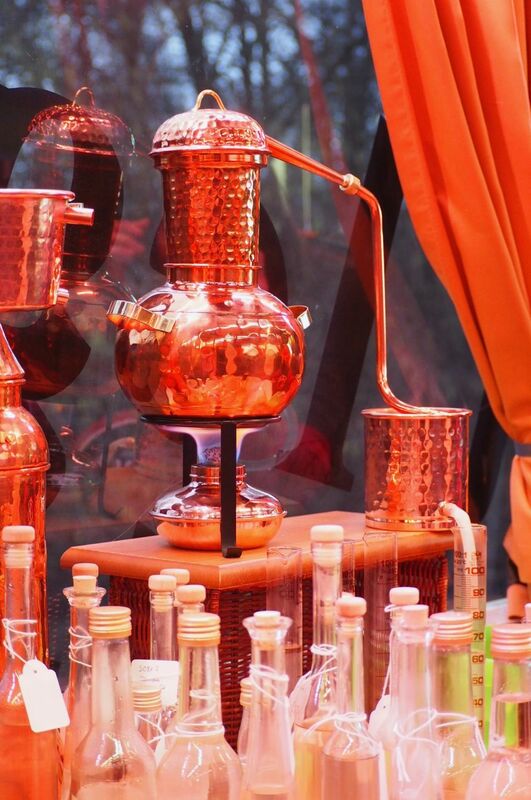 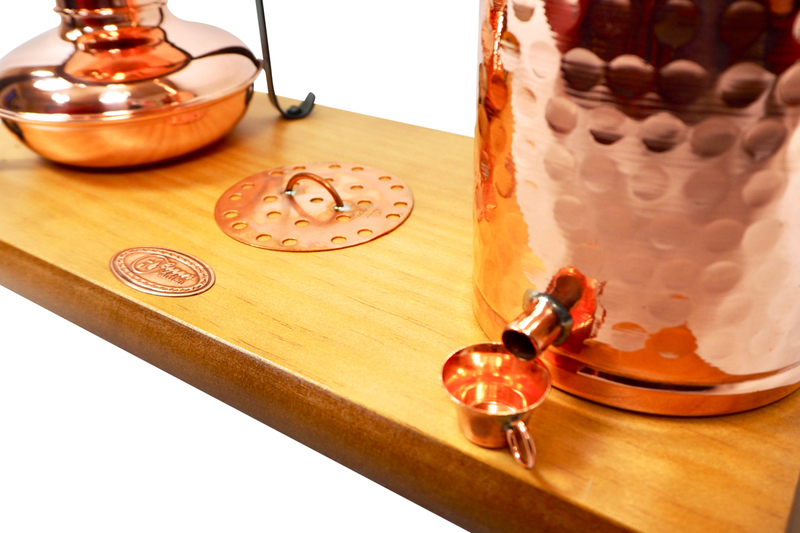 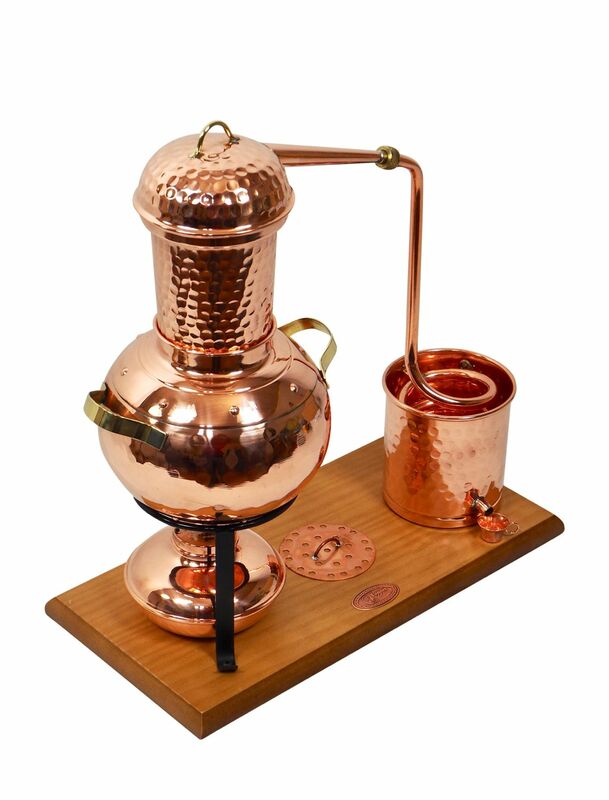 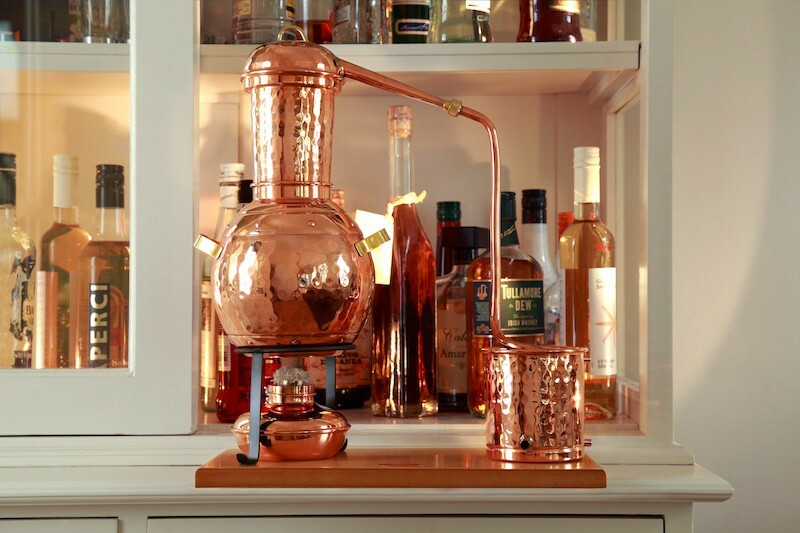 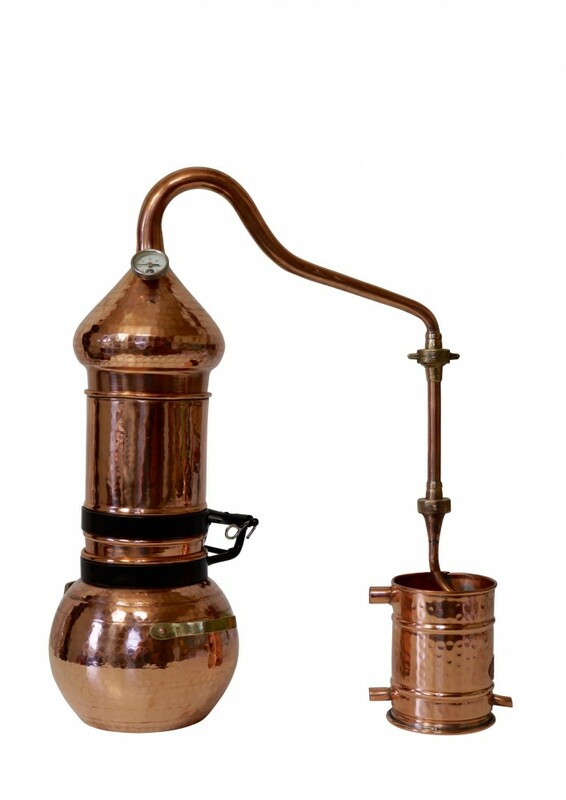 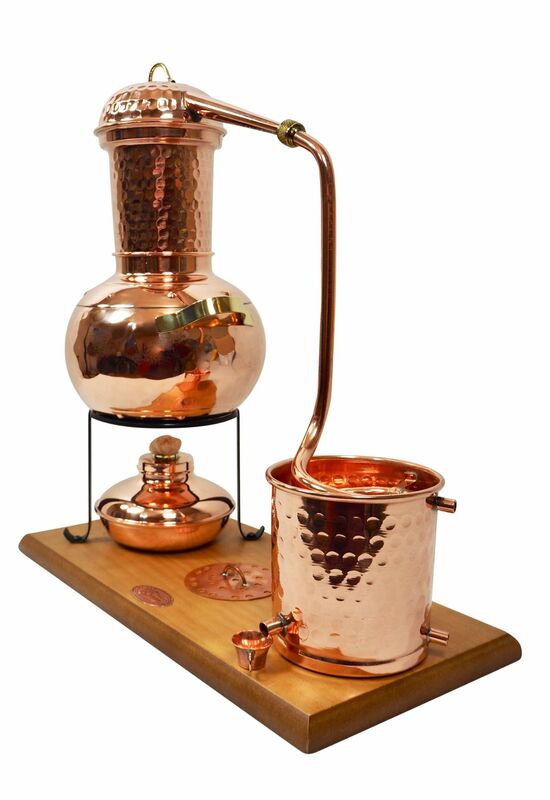 This versatile compact copper pot still, ideal for hobby distilling, comes with a sieve, suitable for the steam distillation of beverages and essential oils. 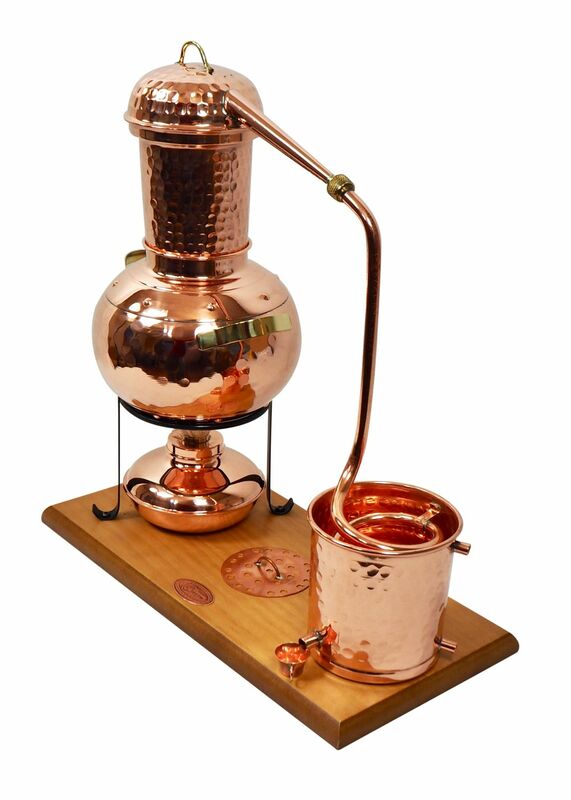 You can flavour your spirits with spices to obtain composed alcohols such as gin (with juniper), ouzo (anise and caraway ) etc. 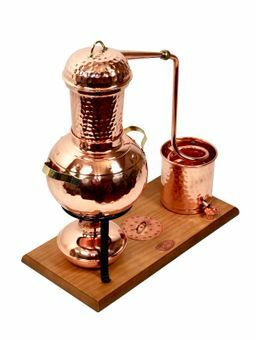 An economical table still with an Arabic design. 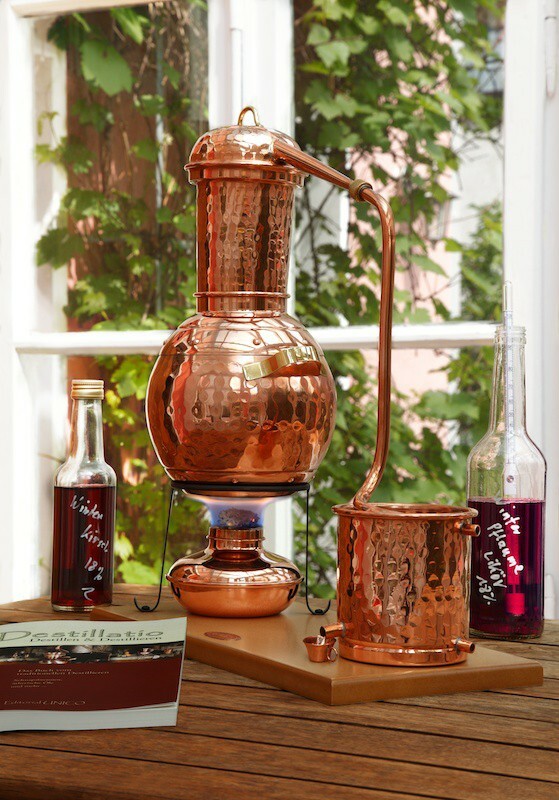 The copper pot and its forged iron support rest on a solid wooden base. 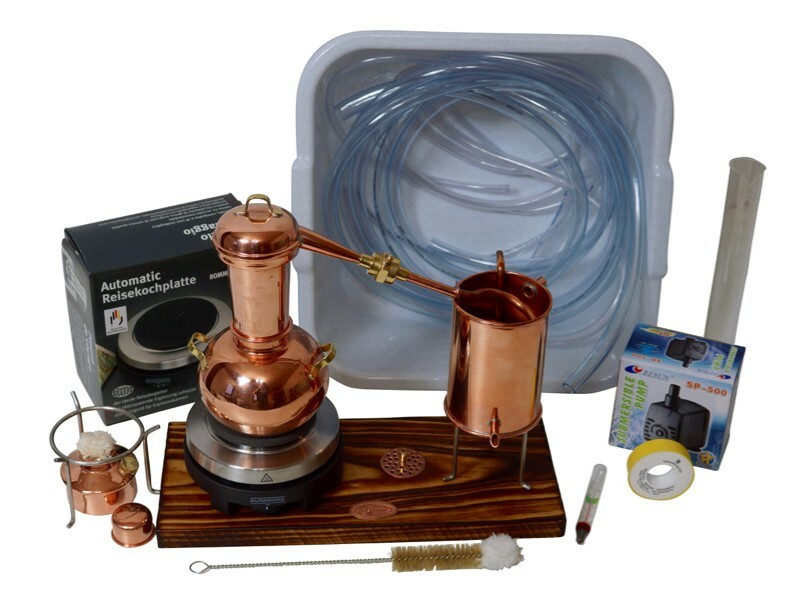 It is delivered complete, with the pot and condenser with spout, an steam sieve, a small copper cup to receive the distillate and our 16-page guidebook in English . 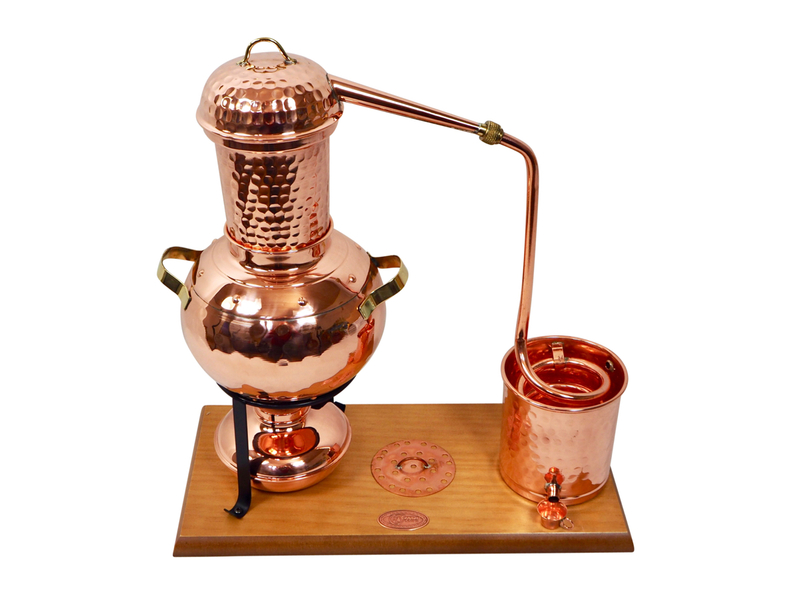 This Arabia Alembic still is appropriate for beginners. 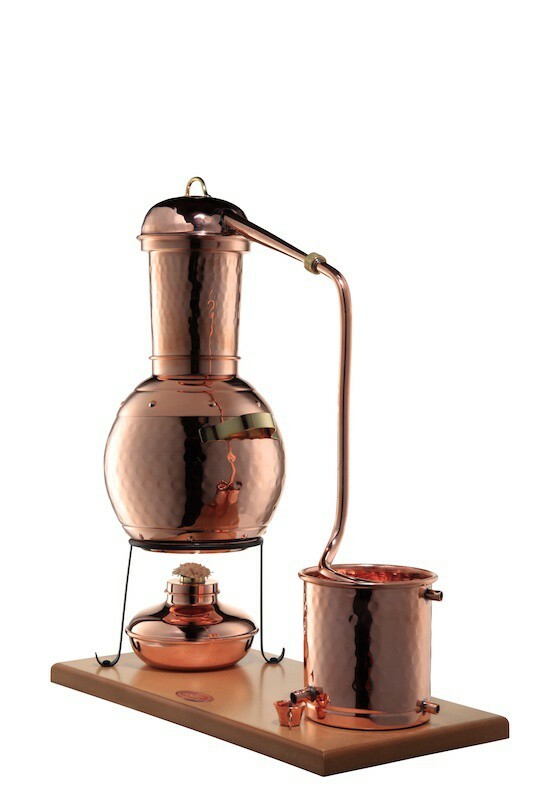 "CopperGarden®" 2L Arabia still made of copper and forged iron with a wooden base. 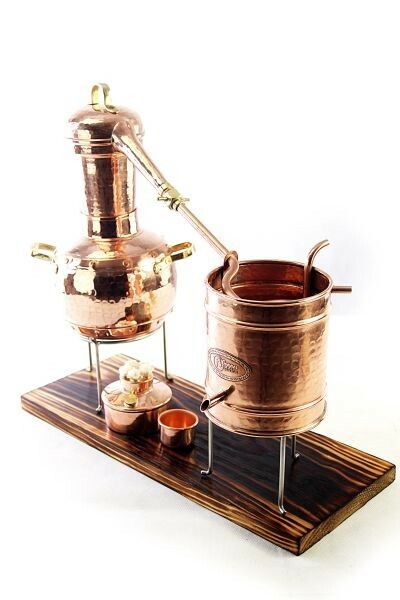 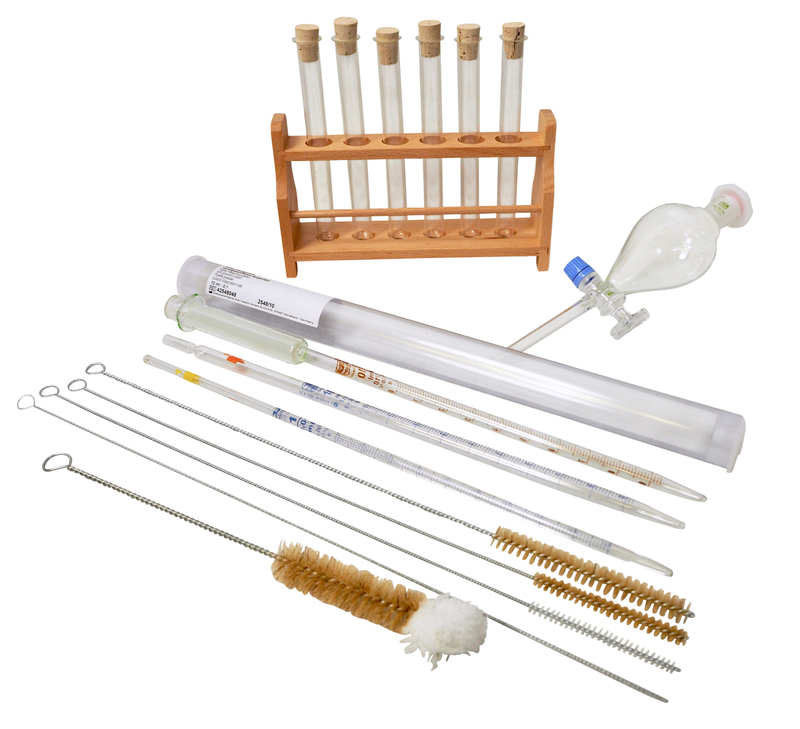 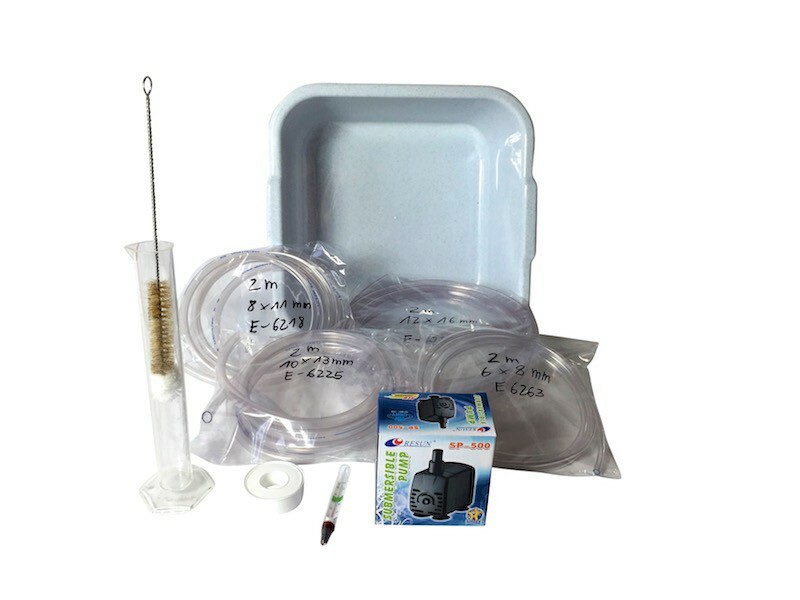 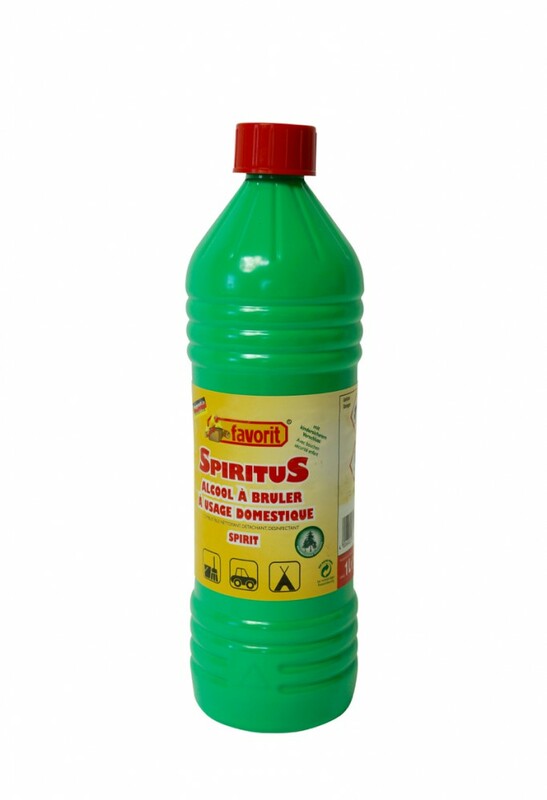 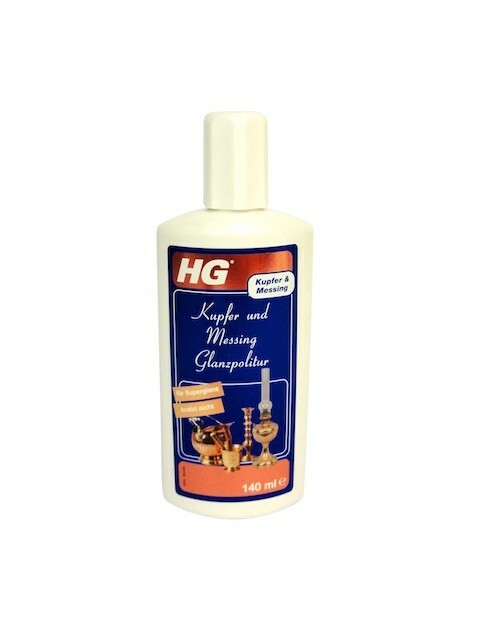 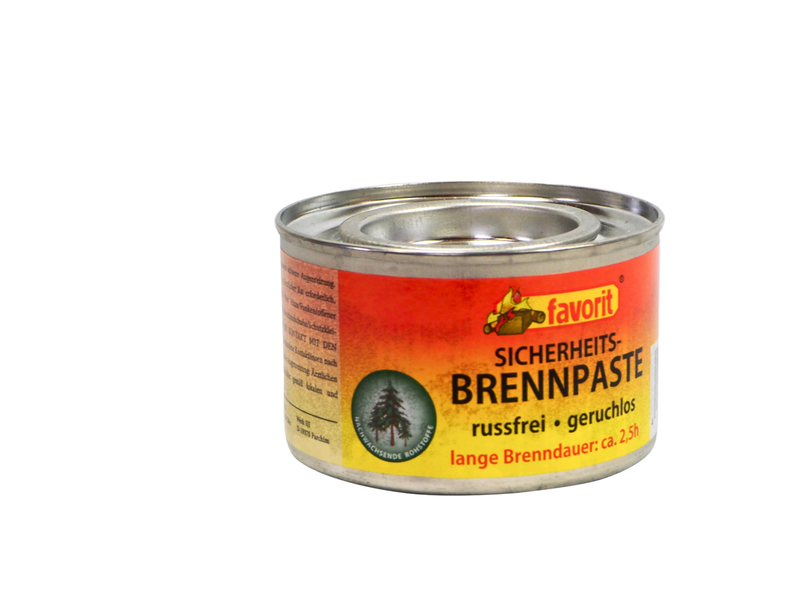 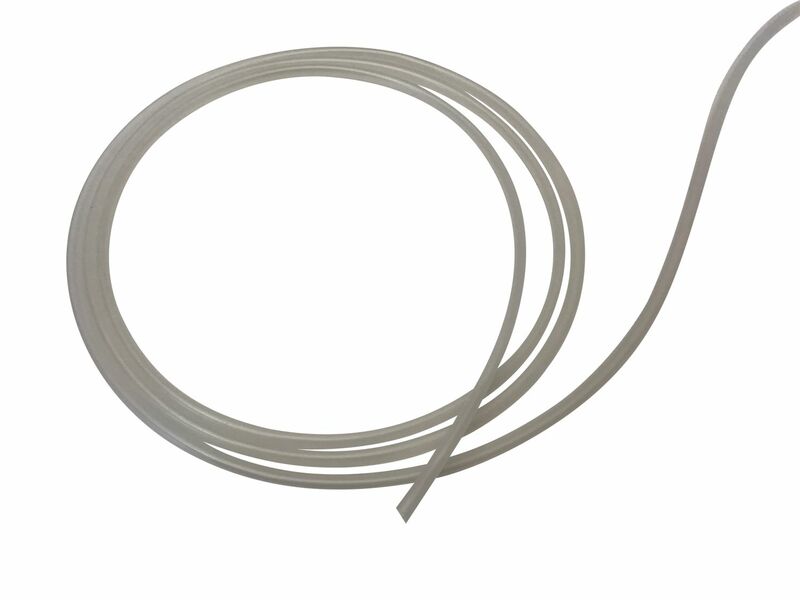 Usage: to make essential oils, flavour spirits, distil wine, beer and wort. 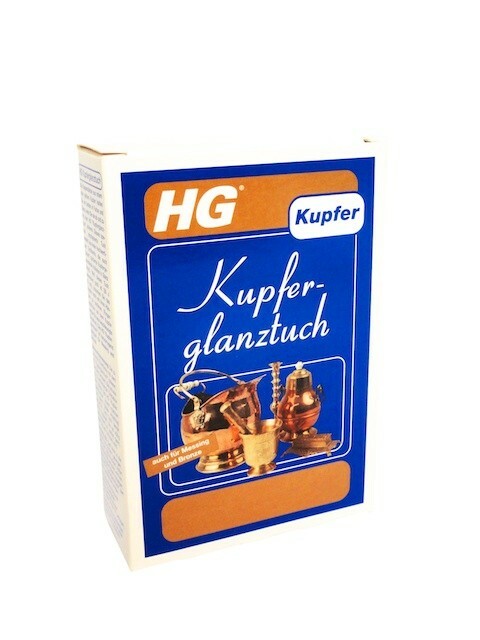 For expositions, presentations and decoration.